The first art piece in the National Treasures collection. 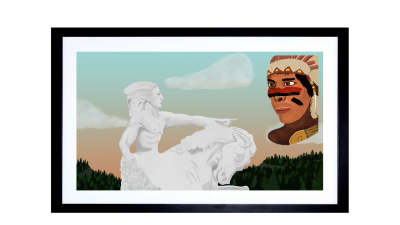 This piece captures the spirit of the Native American and makes a perfect gift for anyone in the family. The print is 11 in x 14 in on high quality, fade- resistant paper with a matte finish. If you wish to purchase this signed print without a frame, please click here.